Whether you are the buyer or seller in a real estate transaction, it is always a good idea to have a qualified and knowledgeable Real Estate Lawyer in your corner. As a family law lawyers we will help you understand the strengths and weaknesses of different legal actions and methods to help you decide on your best course of action, tailored to your individual needs and wishes. 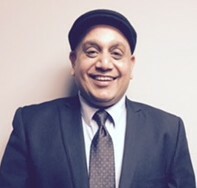 Kuldeep S. Sidhu was admitted to the Alberta Bar in 2015 after the successful completion of the Certificate of Qualification from NCA, Ontario in 2013. Credentials: Symbiosis International University's School of Law Bachelor of Laws (LL.B.) 1998. ILS Law College, Pune. Bachelor's in Social Legal Sciences (B.S.L.) 1996. Did his initial Schooling at YPS Patiala. Services offered in English, Hindi, Punjabi, Urdu, Bengali, Marathi and French. We are committed to your privacy and providing you with quality service.